On Wednesday my latest eBay purchase finally arrived from the Ukraine – A LOMO Sputnik stereo TLR. 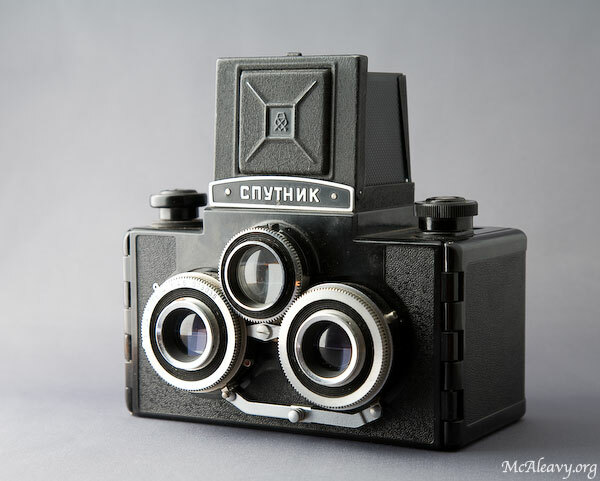 It’s basically two Lubitels fused together – a Bakelite monstrosity with all the light leaks, shiny internal surfaces and dodgy engineering familiar to owners of Soviet cameras. At the very least some internal flocking will be required to make it serviceable. It is, however, enormous fun and shoots stereo images that are considerably less blurry than my stereo Holga, although that, to be honest, isn’t saying very much.